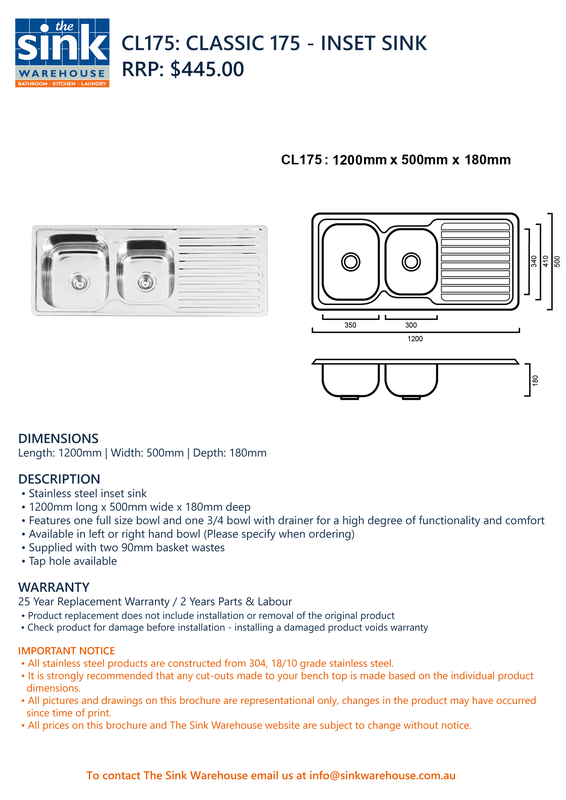 Classic 175 - Inset Kitchen Sink | The Sink Warehouse | Australian Delivery! • All stainless steel products are constructed from 304, 18/10 grade stainless steel. • Average handling and delivery can take up to 7-10 business days.